Ht. 40cm. Z4. 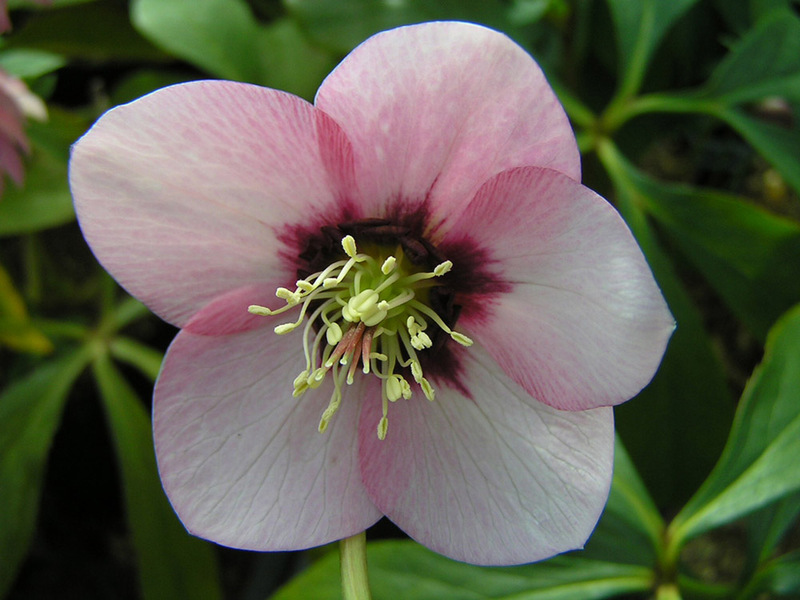 From Ashwood Nurseries comes this fantastic hellebore that produces peachy-pink flowers with dark rosy-maroon brush strokes at the base of each sepal and a ring of dark rosy-maroon nectaries. From tissue culture so each plant is identical.